Welcome to what I hope becomes a weekly series. 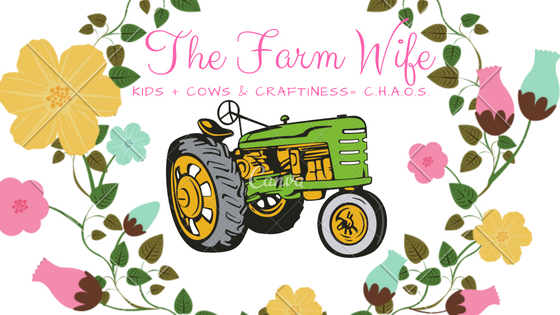 Each week I plan to give you a brief glimpse into our life as a farm family through photographs. 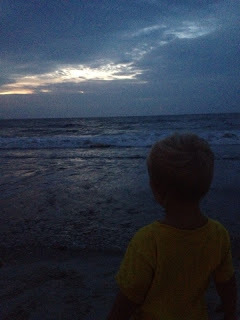 I'm sure there will be weeks with interruptions but for the most part I hope to be here. If you have questions about the photos or what is going on in them please read the caption and ask any questions in the comments section below. Farmgirl all dressed and ready for church. I'm not sure about other parts of the country but in the South we love smocked outfits and big bows! Farmboy2 helping Nana feed calves at the barn. 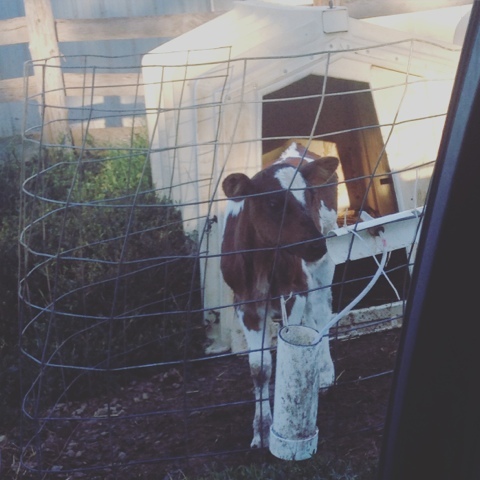 Our 2 youngest go to the dairy each morning to help while our oldest goes to school and I head to my town job. Farmboy showing one of his heifers (with a little help) at our local livestock show. Fall is full of shows, shows and more shows. To help balance everything out we limit the number of shows we attend. This year we are doing 2 lambs shows and 4 cow shows. Farmboy had a great day at our local sheep show bringing home 2 grand champions. Now if he would just pay attention to the judge we might take showmanship too. Reasons like this are why we decided to limit shows. This allows the Farmer to get away and relax. since "we are not all dairy farmers". My morning calf greeting. Each morning as I'm leaving the barn this calf comes out to greet me. 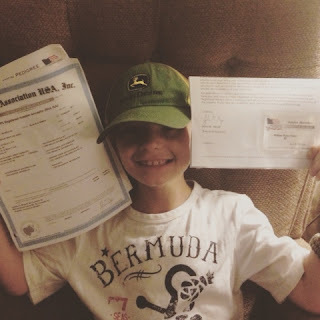 Farmboy and his registration papers for his "first official" heifer. Purebred animals are registered with their respective breed associations. These animals get an official name and number. Then we use those names and numbers while showing and then again when the cow has a calf. 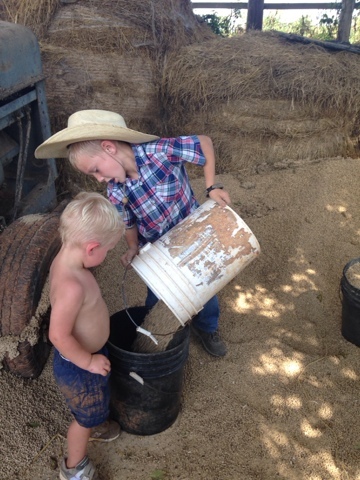 The farmboys helping to gather feed from bulk storage for calves. Farm kids learn early in life how to work and that on our farm every one has to pitch in. Our boys love to help out. Sometimes I think it's just to get dirty. 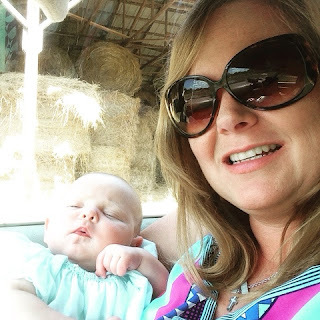 Farmgirl and I after church waiting on the Farmer to feed cows. Yes it's September and we are already feeding hay due to the drought.